Composite insulators have been in service in electric power networks successfully for more than 40 years, and now up to the highest operating voltages. The present book extensively covers such insulators with a special focus on today's prevalent material, which is silicone rubber. It includes a detailed description of the electrical and mechanical characteristics of composite insulators, their material properties, their design as well as typical applications and service experience. Particular attention is given to the mechanical behavior of long rod and post insulators, insulated cross-arms, interphase spacers and hollow core apparatus insulators. The state of the art on manufacturing procedures and the selection and dimensioning of the necessary power arc and corona fittings is presented as well as evaluation tests of "old" insulators, i.e. insulators after many years in service. The closing chapter deals with an up to date overview of test procedures and IEC standards. 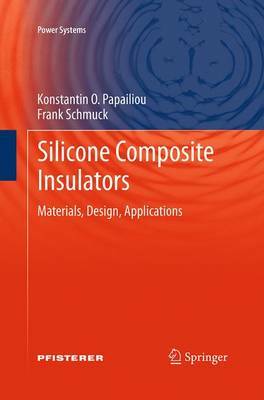 The selection and the contents of the various subjects covered in this book are based on the authors' more than thirty years of experience with a renowned European manufacturer of composite insulators and string hardware. Their long and active participation in the relevant CIGRE and IEC working bodies adding to this experience. This book is therefore addressed to practicing engineers from electric utilities and the industry, as well as to academic professionals.